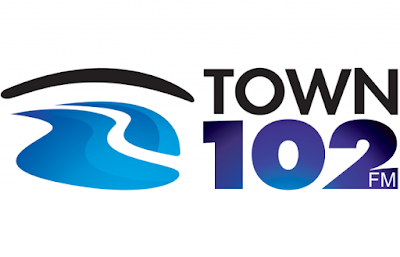 Town 102, the local commercial station for Ipswich, has lost its right to broadcast in Ipswich. The decision from Ofcom followed a routine re-advertisement of the 12-year licence, which attracted a rival bid from Ipswich FM. It's the first time a re-advertisement has resulted in an incumbent station losing its licence. Town 102 is operated by Celador media with a coverage reach of around 155,000 people and has been on air since 2006. But the station has been struggling with low listening figures, and Ofcom was swayed by the proposals by the rival bid - Ipswich FM, which is backed by DAB operator MuxCo Suffolk Radio, which in turn is supported by Lincs FM and Nation Broadcasting. And Town 102's refusal to go live on DAB digital radio appears to have been the final nail in the coffin for the station: In a statement, Ofcom said that Ipswich FM’s commitment to broadcasting on the Suffolk DAB multiplex meant it would have access to a "greater number of potential listeners than the incumbent licensee, which does not, and did not indicate any plans to, broadcast on DAB." Ipswich FM’s proposal for a station is for a service that targets those aged over 35, reflecting the fact that the Ipswich area has an older population than the national average. The service promises to be distinctive by being less contemporary than Kiss and, to a lesser extent, Heart, and by offering a more local editorial focus specifically on Ipswich. In contrast, the current Town 102 service shares the same schedule as four other sister stations ‒ Dream 100 (in north Essex), The Beach (Lowestoft and Great Yarmouth), Radio Norwich and North Norfolk Radio. The current Town 102 licence expires on the 18th October 2018. Very excited that our @muxcodab consortium has been awarded the re-advertised Ipswich FM licence. It's the first time in Ofcom's history that a challenger has beaten and incumbent. Now the hard work begins.